In these tracks, you will deepen your knowledge of the aims and methods of your chosen domain (See “Programme” for more info). In addition, thanks to integrated courses and links between tracks, you will get a unique opportunity to acquire multi-disciplinary skills and training in the neurosciences. The main focus of this Research Master is to train students to become independent researchers. For this purpose, a large portion of the programme is devoted to two research projects (in total 70 ECTS) in which the students are embedded in research groups to conduct their own experiments. Students are encouraged to perform one of these research projects abroad. The BCN Research Master is one of the best Neuroscience master programmes of the Netherlands (Dutch Higher Education Guide 2017 - Keuzegids Masters 2017). Admission to the programme is selective, based on the applicant’s academic credentials and motivation (See “Admission and application” for details). The B-track focuses on the neurobiology as well as the function and evolution of behaviour. Neurobiological, physiological, developmental and (epi)genetic processes are crucial to understand the evolution, function, causation and development of behaviour. Exploring these fields will provide insights in brain circuitry and processes driving human and animal behaviour. Courses in the B-track cover chronobiology (circadian and annual rhythms), evolution of behaviour (development, causation, evolution and adaptive significance), neuroendocrinology, physiology and behaviour (brain-periphery interactions, energy balance, eating disorders), and individuality of behaviour (trait-like patterns, behavioural and physiological responses). Students perform a minor and major research project where they acquire fundamental and scientific knowledge skills on animal and human behavioural neurosciences. Altogether the B-track prepares students for a scientific career in the behavioural neuroscience field. The N-track focuses on the molecular and cellular mechanisms that underlie neuronal development, function and communication. Investigating these molecular and cellular pathways contributes to understanding the neuronal basis of cognition and behaviour and is essential for the development of strategies to detect, treat or even prevent neurodegenerative and psychiatric diseases. Courses in the N-track cover the anatomy of the nervous system, neurotransmission and transduction cascades, neurophysiology, stem cell biology, protein homeostasis and quality control, neuropathology, neuropharmacology and neuroinflammation. Students engage in diverse research projects that range from basic research in simple model systems to translational studies in clinical departments but ultimately share a common interest in addressing neuroscience-related research questions at the molecular and cellular level. Altogether, the N-track master prepares students for a future research career in the molecular neurosciences. Bachelor-Master connections: (Molecular) Medicine, Biomedical Sciences, Life Sciences and Technology. The C-track focuses on cognitive processes and their implementation through neural mechanisms at the systems-level. By characterizing and modelling the functional and neural implementation of cognitive processes, a fundamental understanding of both the workings of the healthy brain and mind can be achieved, and of how cognitive functioning breaks down in case of neurological and psychiatric disorders. Courses in the C-track offer knowledge and hands-on training in advanced statistical analyses, EEG and fMRI methods, cognitive modelling, and cognitive neuropsychiatry. In addition, students execute two research projects in which they can pursue and develop their interests and research skills. Altogether, training in the C-track prepares students for a PhD position in the field of cognitive neuroscience. Bachelor-Master connections: Bachelor programs that teach knowledge and skills in Cognitive Psychology and Cognitive Neuroscience. For instance, Psychology, Artificial Intelligence, Human Movement Sciences. Please provide us with the names of two qualified referees, preferably the supervisor of your BSc thesis. The BCN researchmaster is a selective MSc programme. After you have registered in www.studielink.nl, your application will be passed on to the Admissions Board of the programme. Students will be informed about the decision of the Admission Board before 1 June. Admission to this programme is selective. A limited number of students can be accepted. Successful applicants are scientifically and academically driven, and have high grades in relevant courses, demonstrated interest (e.g. research experience) in behavioural and cognitive neurosciences, and good oral and written communication skills. Application deadlines are listed below. Since applications are evaluated on a rolling basis until May 1, you do not have to wait until the application deadline to apply. 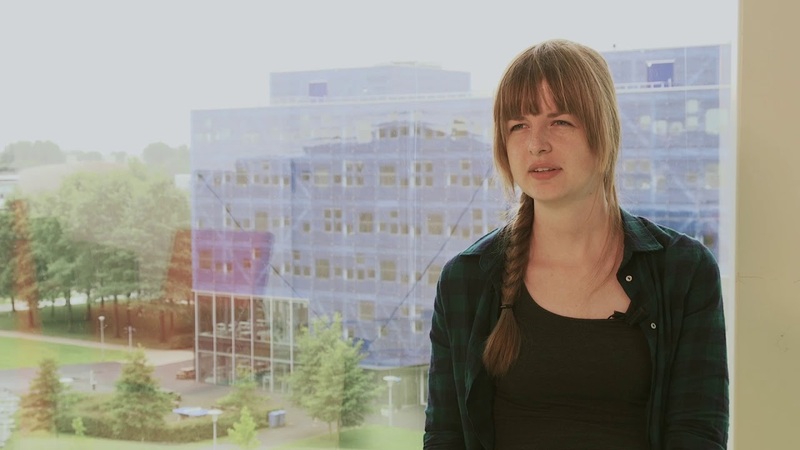 Make sure to read the MSc Application Procedure at: https://www.rug.nl/fse/programme/admissions/msc/ for all the necessary information about the procedure and admission requirements. Please visit https://www.rug.nl/fse/programme/admissions/msc/language-requirements for all the necessary information about required language tests. Additional assessment of language proficiency might be part of the admission procedure. As a graduate of this programme, you can work as a researcher, both in the academic world and other fields. Because of their multi-disciplinary training, graduates of this degree positively distinguish themselves: you can easily grasp the bigger picture and are able to familiarise yourself with new fields and methodologies quickly. This programme is characterised by its interactive setting with a strong accent on scientific research, offering the unique chance of a truly multidisciplinary education, while becoming an expert in one specific track. Designed for students who are familiar with the theoretical foundations and basics of behavioural research. They follow the "four why's" of the evolution, function, causation and development of behaviour. Thorough evolutionary insight is necessary for guiding the causal analysis of behaviour, just as we cannot understand its evolution without physiological knowledge. Hence we link the functional and physiological analysis of behaviour. This holds also for human behaviour where particular emphasis is placed on evolutionary psychology. Development of behaviour is a further key to understand the complex regulation of behaviour in adulthood, the origins of individuality and the constraints and plasticity in behavioural adaptation. This research track focuses on cognitive processing from psychological, neurological and modelling perspectives. The psychological aspect is covered in expert courses on psychological phenomena such as learning, memory and attention. The neurological aspects entail specialized courses on neuroscience, both from functional, clinical and biological perspectives, and training in different methodologies (e.g., fMRI, TMS, EEG) to study brain processes. The modelling aspect focuses on abstract characterisation of cognitive processing. These characterisations can take the form of statistical or computational models. This enables researchers to establish causal relations between behavioural and neurological phenomena and cognitive theories. The Neuroscience track is designed for students interested in molecular mechanisms of brain function and of the neuropathology of diseases. The brain and the central nervous system are the key players in behaviour and cognition. The programme focuses on molecular and functional neurosciences, neurodegenerative and psychiatric diseases, neuro-inflammatory processes and stem cell biology. The courses emphasize the anatomy of the nervous system, neurotransmission and transduction cascades, neurophysiology, neuropharmacology and neuropathology. The latest insights in Parkinson's disease, sleep and sleep disorders, obesity, aggression, anxiety, multiple sclerosis, and stroke related pathology will be discussed. The Behavioural and Cognitive Neurosciences programme gave me the chance to follow my own interests and develop the skills that are needed for a career in science. BCN is an unique programme in many ways, starting with its size. I've experienced it as a comparably small program with a very good teacher-student ratio, and close interactions between students and teachers. This allowed me to start working on a relevant network early on in my career. The personal way of educating has made my studies in Gronigen very enjoyable. I love the fact that there is a lot of emphasis on the idea of a group. Every year a cohort of students start their studies together, share the same initial set of courses and are encouraged to work as a team. The structure of the programme is very well thought through. Your start with introductory courses, which provide a good overview of the fields of behavioural and cognitive neurosciences. In the first year you also get the chance to follow a minor research project, which provides a great opportunity to gauge your abilities in conducting research. The second year gave me the freedom to follow my own interests and to specialise in a field that I would like to do a future PhD project on. I chose the BCN Research Master because it is interdisciplinary and full of opportunities. I am part of a research team for one semester every year, in which I can focus solely on gaining skills and first-hand experience in conducting research. I enjoy having a say in the process, whilst being taught by researchers themselves during both the research internship and the preceding courses. I have the chance to develop my skills in whichever direction I want them to go. But it is not only the research experiences I gain; BCN is more than just a Master's degree programme. It is a community of students and researchers who meet for social events and exchange experiences during the courses and internships. You never feel alone or lost in your work, and there is always someone to help you out if you are stuck. Everyone interacts on a first-name basis, and thanks to the small number of study groups, everyone is fully included in the programme and its process. It’s the perfect programme for someone that wants to start a career in academia, or is thinking about doing so. For me, it convinced me that academia is the direction I want to go, and thanks to BCN, the whole world is open for me after I graduate!